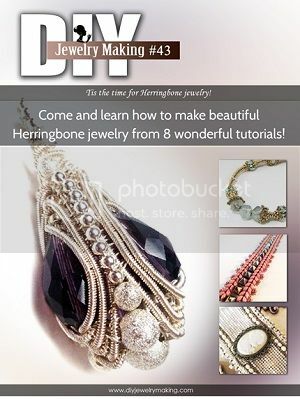 3D wire wrapped herringbone pendant tutorial a must have for everyone addicted to wire wrapping. With 111 clear pictures, spread along 61 pages and 45 main steps, directions in this tutorial will be easy to follow. I also attached a few drawn sketches, just to make sure you get clear info about “how to”, while working. -one could replace teardrop crystals with any other teardrops at hand. I’d go further and say that they could be replaced with spheres, too, just keep in mind you should wave more and add more metallic beads, in order to make it look longer on one side. -useless to say silver plated wire can be replaced with any other wire at hand.